President Barack Obama declared new economic sanctions on 20 Russian officials and a Russian bank Thursday. This follows Russia's treaty ratification to make Crimea part of the Russian Federation and Moscow's move to annex to region, after a quickly organized referendum that saw Crimea vote to join Russia after the Russian military moved into the Crimean Peninsula. All have repeatedly been called "illegal" by the White House. "Ukraine's sovereignty and territorial integrity must be respected, and international law must be upheld," Obama said, according to a speech transcript published by the New York Times. "This is not our preferred outcome. These sanctions would not only have a significant impact on the Russian economy, but could also be disruptive to the global economy. However, Russia must know that further escalation will only isolate it further from the international community." Under an executive order signed by Obama two weeks ago, the U.S. is already imposing sanctions against a number of individuals whom the White House says played a part in the Ukraine crisis. On Thursday, Obama says he signed another executive order that will allow the U.S. to punish key Russian economy sectors. Vice President Joe Biden will leave for Europe tonight, where he will meet with NATO ally leaders, including Lithuania, Latvia, Poland, and Estonia, Obama says. 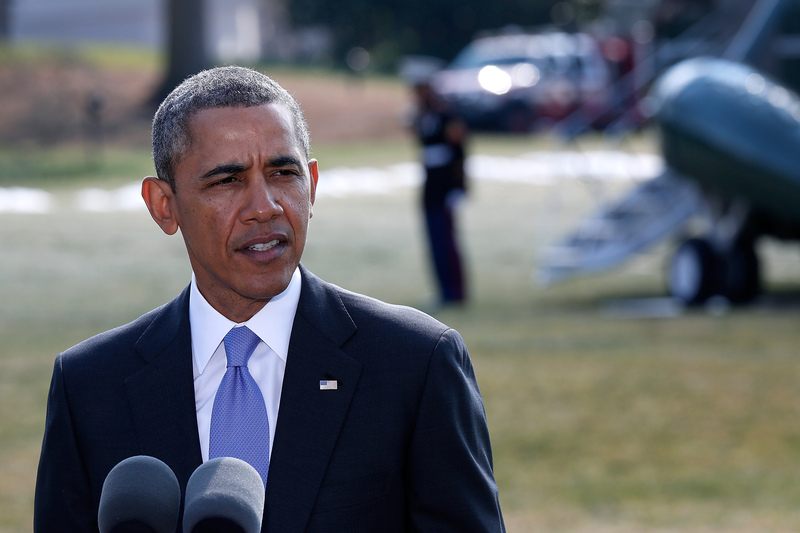 Plus, Obama will meet with the Group of Eight, minus Russia, next week in the Netherlands. "As NATO allies, we have a solemn commitment to our collective defense, and we will uphold this commitment," Obama says. "The international community will continue to stand together to oppose any violations of Ukrainian sovereignty and territorial integrity, and continued Russian military intervention in Ukraine will only deepen Russia’s diplomatic isolation and exact a greater toll on the Russian economy." Almost immediately, Russia retaliated by imposing its own sanctions against the U.S.: an entry ban against nine American lawmakers and officials.